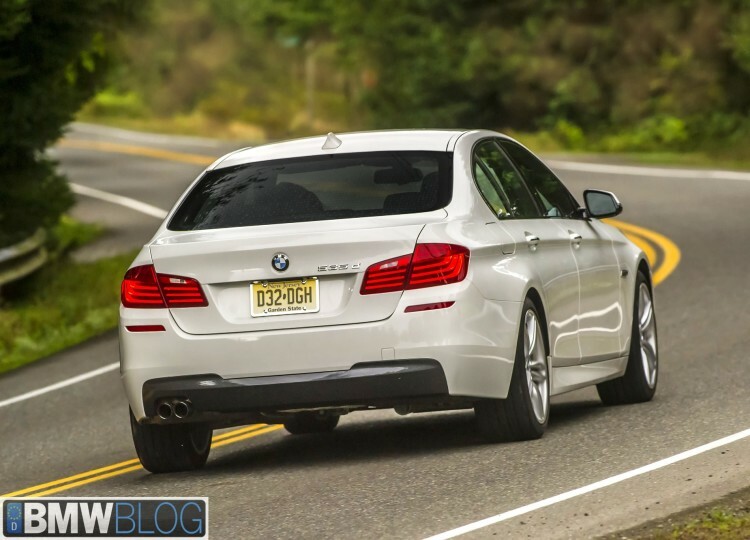 Road and Track reviews the only BMW 5 Series diesel available for sale in the United States. 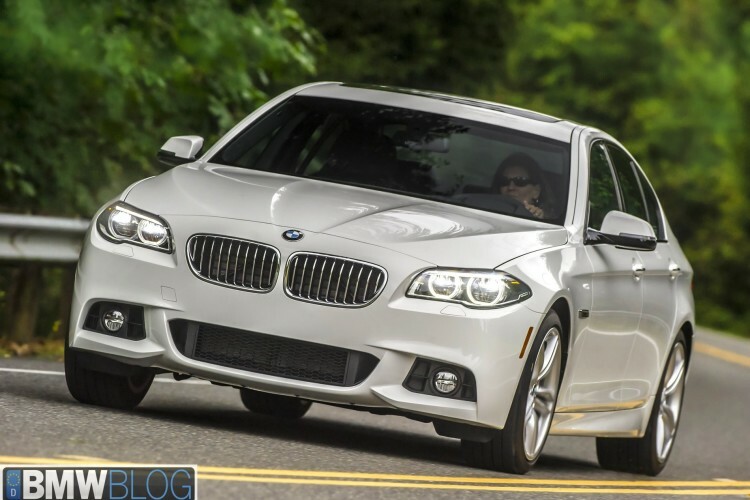 The 2014 BMW 535d went on sale this past fall and uses the same twin-turbocharged inline-six engine as the diesel X5. The diesel banger produces 255 horsepower and a remarkable 413 lb-ft of torque. It comes paired only with an eight-speed automatic transmission, the base price starts at $57,525 (destination & handling included). 0 to 60 mph comes in just 5.3 seconds. For another $2,300 more, you can buy the piece of mind when it snows, the xDrive system. Solid, torquey, satisfying diesel straight-six. Big sedan that doesn’t act like one. Not cheap. Steering distances you from the road. Anodyne interior, even for a BMW. Next post F82 M4 or F80 M3 – Which One Would You Buy? I don’t get this. I drove the E350 and the 535d and the BMW was sooooo much better. The Mercedes was smooth and has a nice interior, but this baba maw is fast! And it gets over 30 MPG. Why are the magazines so down on this car? Btw the A6 TDI was a distant 3rd in my comparison. I don’t know why it gets such great reviews. I wouldn’t worry much about it. Certain publications always rate BMWs low. R&T is one of them. It doesn’t matter what BMW it is they always give it a slightly negative rating, if not bad. For example, their road test of the i3 was basically a 180 of most other journalists. While some journalists had minor concerns, I think the R&T one was the only flat out negative review I’ve seen of the i3. I actually like TTAC for mostly unbiased reviews. I just bought a 535d yesterday. I can’t wait to try it out on some long drives. I bought one and it’s GREAT. Gets well over 35 MPG and fabulous acceleration. GREAT car. Unbelievably shabby thing to have happened today.. Looking for others who’ve had a similar experience with their 528i. My wife finished her 9-holes at about 2PM today at our club in Millsboro (southern ) DE, so she walked over to her 2013 528i, which was unlocked in the parking lot at the golf course, and used the button on the key fob to try to open the trunk. Immediately, the alarm started sounding and the car shut down completely…wouldn’t start, couldn’t open the trunk (with fob or the button over the driver’s left knee), couldn’t unlock rear doors… nothing. The alarm when off (30 seconds on, then 10 off) for about 3 hours while we tried EVERYTHING to get the car to shut up…. had both keys with us but they didn’t do anything. Tried everything in the owners manual, but no dice. Tried using the melt blade in the key fob, but it did no good. Tried holding the key fob (both) to the steering column like shown in the owners manual… no dice. Called BMW ROADSIDE ASSISTANCE, but they were of ZERO help… had no friggin idea what to suggest. Told us we’d probably have to get the car towed to a dealership, but our local (an hour away) dealer was closed, and they couldn’t find ANY TOW OPERATOR to come get the car. BMW basically washed its hands of the ordeal saying.. “perhaps we can get you some assistance on Monday”. We finally had a kid crawl into the trunk through the rear seat access panel, then pull the emergency handle to open the trunk. Then someone thought to push the trunk-close button and for reasons unknown, the alarm (finally) ceased. Then we manually opened the hood and jumped the car from a buddy’s car, and presto, the Beemer started. Have no idea as yet why all the drama, or what caused the car to shut down on us. Any ideas anyone? How to we prevent this from happening again? Maybe the trunk wasn’t closed properly. Not sure why the car would not react to your remote keys. Just press “lock” and “unlock” and the car should be silenced. Never had such a problem with my 520d though. BTW, you can turn off the alarm completely if you press the “lock” button (the BMW button on the key) a second time within 10 seconds after locking the car. The red LED at the rear view mirror turns on for a couple of seconds to show you it got your message. ;) Just be aware that your car won’t be alarm protected until you open the car again either via unlock button or keyless entry.